Guy Granville Simonds, born in Bury St. Edmunds, England, on April 23rd, 1903; died in Toronto on May 15th, 1974. Canadian Army officer. 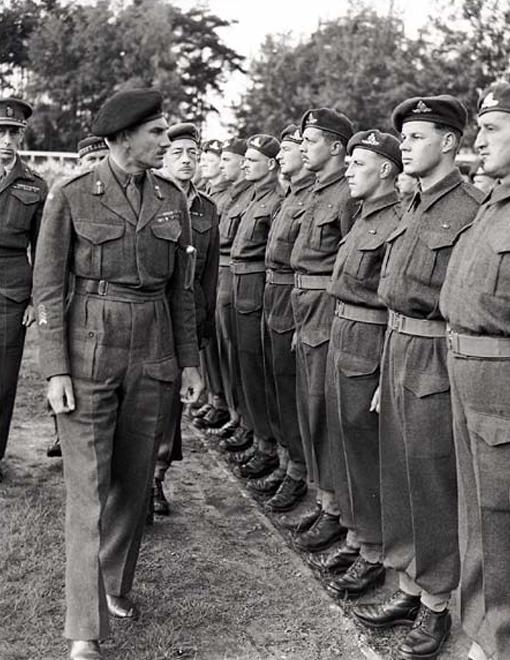 Lieutenant-General Guy Simonds inspecting II Canadian Corps in Meppen, Germany, May 31st, 1945. Photograph by C.H. Richer. Department of National Defence / National Archives of Canada, PA-159372. J.L. Granatstein, The Generals, The Canadian Army’s Senior Commanders in the Second World War, 1993.